The Patient Partnership Council (PPC) brings our patient partners and our staff together to help improve the quality and safety of the care we provide. 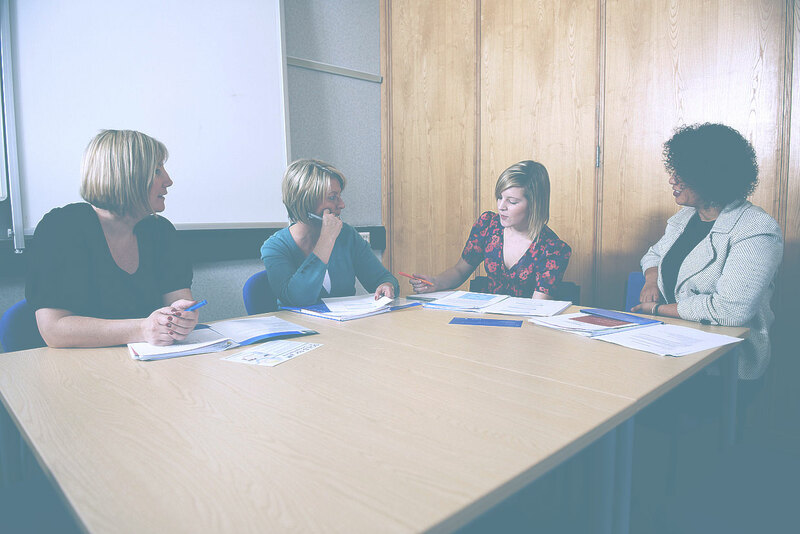 The council is our patient forum, helping us to oversee patient and public involvement and providing our organisation with independent and objective recommendations for the way we care for our patients. For more information, please contact PatientExperience@bhrhospitals.nhs.uk. I have lived in Havering all of my life and, in 2015, retired from the automotive industry. I’m a keen football fan, supporting a north London club, was a private pilot, and I'm interested in all things to do with aviation. I also love to travel. Queen’s Hospital is my local hospital and, following my retirement, I wanted to give society something back. As a proud supporter of the NHS, offering my time and life experience to King George and Queen’s hospital was the natural thing to do - it was an easy and rewarding decision to make. Apart from my work as chair of this group, I also volunteer on a regular basis at hospitals, particularly in relation to obtaining patient experience feedback. I represent those with a Learning Disability and am involved to help improve the services the Trust provides those with a Learning Disability. I’ve lived in the London Borough of Redbridge for 40 years and have no plans to move in the near future. I am a member of the Learning Disability Partnership Board and a representative for Learning Disability on other groups. I’m Elvis Presley’s biggest fan and have all of his music and films. I am a 74 year old retired electronics service engineer. I spent the last few years working as a compliance controller for the sterilisation of pharmaceutical products. On Christmas Day 2009 I became seriously ill. Paramedics, doctors and nurses saved my life through their skill, devotion and 24 hour care. Now, as a member of the PPC I have the opportunity to say thank you by helping to improve the already great care given to our patients. Welcome to Alex Burulea, who has joined our Patient Partnership Council representing Children and Young People’s services. Alex is a 17 year old student at Leyton Sixth Form College and plans to have a medical career in the future as a plastic surgeon. Alex already volunteers at Queen’s. Alex wants his role on the Council to to improve the experience of our patients and work in partnership with services to achieve the best care possible. I retired in 2012, having spent my working life in the oil industry, as an engineer, and latterly a safety and environmental advisor, a role that took me all over the world. Following retirement, I ran my own consultancy for 18 months before retiring for good, and then took up an allotment to keep me occupied. My wife Sue and I enjoy travelling and we can now indulge our pastime more fully. Our family has, over the years, used a wide range of services at the Trust - maternity, paediatrics, surgery, outpatients and the ED. I believe it’s important to put something back into the community, and in the past have served as a Governor at a school that our children attended. Being involved with the Trust will enable me to put something back into a health service that has supported our family so well. I am the lay representative for maternity services. I am also involved with the Maternity Services Liaison Committee at Queen’s Hospital. I am a local mum of three. I teach Daisy Birthing Active Antenatal classes in Havering and facilitate our local Positive Birth Movement Group. At the heart of both my voluntary and professional work is a passion to support other women throughout pregnancy and childbirth, helping them to feel more confident and informed about birth. To me, being a member of the Patient Partnership Council offers an opportunity to build the trust and connections between the community and our health trust; a two way process that I hope will steer us all along a pathway towards the best patient experiences within this Trust. I am the lay representative for the emergency department (ED). I am also a member of the Trust’s Organisational Development Steering Group, working to improve the emotional and physical environments for both patients and staff. I have lived in Havering for 25 years, worked for the London Fire Brigade for 30 years, before moving into private sector management and then retirement. I have a keen interest in computing and photography, but above all else, I am a family man. On top of the work I do here, I’m also the chair of my GP practice Patients Participation Group, an active member of Havering Healthwatch, vice chair of the Patient Engagement Forum, and do some voluntary work for NHS England. I am a six-year survivor of cancer, having been treated at Queen’s Hospital. I kept in contact with the Cancer team at the Trust and have since helped with various cancer projects. This was all prior to joining the Improving Patient Experience Group, where I got involved in committee and project work. I was one of the first to present a ‘patient story’ at a Trust Board meeting. I’ve been actively involved in the improvement journey the Trust is travelling, contributing to and supporting initiatives to help make things better for patients. I’m involved in the Patient Partnership Council with a remit for Long Term Conditions. I have over 35 years’ experience in the oil and gas industry, both in senior management positions with large multi-nationals and in a number of petroleum company start-ups. I’m married with three sons, am the CEO of MEDD Resources, and also run effective Pastoral Council meetings. I have worked for our Trust for almost 30 years. The majority of that time has been in cancer services, as chemotherapy nurse, manager, Matron and for the past four and a half years as the Macmillan cancer information and support manager, which is a role I really love. I have always been interested and passionate about patient experience and information, so I was delighted to be asked to join the Patient Partnership Council as a staff representative. I am also interested in staff experience – I’m the co-founder of the Trust’s staff choir Sound of Pride. I live locally in Brentwood, I’m married with two grown up daughters and I’m proud to say that one works in our hospitals, too. I have worked in the NHS for 28 years. I trained as a cardiac physiologist at the Middlesex and UCH hospitals and after I had my first child, I joined the cardiology department at King George Hospital. Here I helped to develop the pacemaker implantation and follow-up service. After four years I took up a position at Oldchurch Hospital to lead the pacemaker follow-up service, moving across to Queen’s Hospital with the rest of the team in 2006. My specific areas of interest are in atrial fibrillation and end of life care for patients with ICDs. Outside of work I have three children, a grandchild and two crazy cats. I have also volunteered with St. John Ambulance for 32 years. I’m Head of Patient Experience in our Trust, with responsibility for our Patient Advice and Liaison Service (PALS), patient experience, voluntary services, our bereavement team and Chaplaincy. I’m aware that, every single day, our patients have a range of experiences of the services we provide. By listening to them and asking how we could do better, we have many opportunities to improve. King George and Queen’s and hospitals are my local hospitals and I am passionate about continually improving the overall experience patients, relatives and carers have every time they come into contact with our Trust. We’re on a journey towards outstanding and I am very proud to be part of that. I am excited to be the lead for Patient Experience and Engagement across our organisation. Putting patients centrally to everything we do has always been the ethos of my practice as a nurse and midwife. I am passionate that as we continue on our journey to outstanding that staff and patients work together to ensure that experiences for both staff and patients are of the highest quality. Creating partnerships throughout the organisation will improve care by ensuring everyone’s voice is heard and represented.